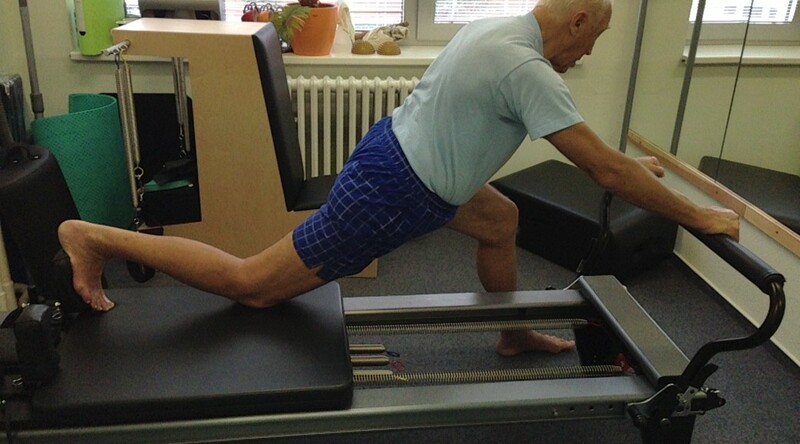 We are the only pilates studio in Prague 11, which provides both individual and group pilates classes on machines. We take pride in a high quality work with the client, individual and sensitive approach and positive atmosphere of the studio. Come here to do something for yourself and your body! We are located close to the subway C, station Chodov and you can also park your car here. After a few months of doing exercise regularly you will find out, that your clothes does not fit you anymore – it is one size bigger than it used to be, despite the fact that your weight scale shows the same number. Your muscles have become longer and slimmer, your waist is skinnier and belly smaller. The whole body has stretched and become optically slimmer. Your body is flexible, strong, you are able to stand and sit upright, your balance and self-confidence have improved. Your joints, back, neck, head and legs stopped hurting. Your breathing has improved, it is deeper and more intensive. Your mood is better and your are full of energy. You are not sick during spring and autumn anymore, illnesses started to avoid you. You do not need to visit your doctor and taking pills anymore. Why to do exercise in our studio? We can do exercise with various types of clients, we are able to identify their individual needs and adjust the exercise plan accordingly. We take care about the good physical condition of our clients in long term, including the correct body posture and breathing. Our main priority is the safety and health of the client. 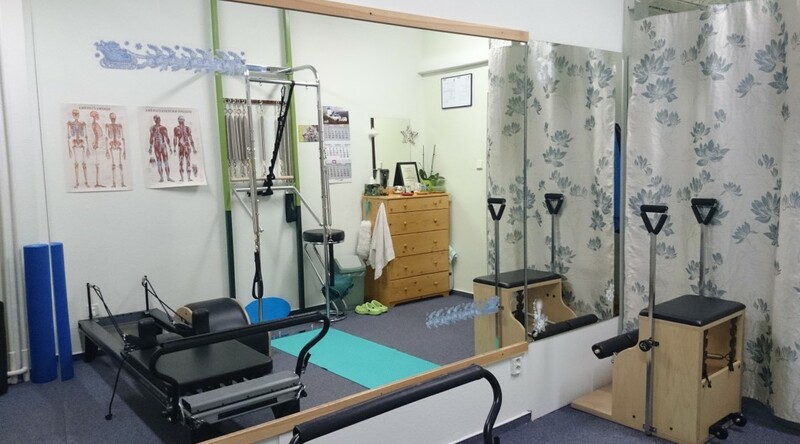 We do the exercise with only one or two clients at the same time, we have enough time for each client, we check all his/her movements, body posture and exercise performing. No injuries or overload of each muscle group happen in our studio during the pilates classes. Each new client goes through the input diagnostics and exercise preparation. Thanks to that he/she will find out how the exercise can be benefitial for him/her and knows what to expect. We strictly follow the pilates rules and do not mix beginners with advanced clients. We patiently teach beginners about pilates principles and body control and we gradually move on to more difficult exercises. We are able to adjust each exercise for the client to be able to do it right and keep it a challenge for him/her at the same time. By the long term care about the client and properly done exercise, we give our clients their health and life energy back. Thanks to the full concentration on the exercises, we are able to „banish“ all the stress from our clients´ head, which has been gathered there for the whole day so that they are excited about coming to our studio and they become loyal to us for many years. Our clients are women and men of all ages and weight categories, with various physical abilities. We commonly work with clients who wish to work hard and keep their high physical condition but also with complete beginners or with clients with weak muscles, overweight, older age, after surgeries etc. Among our clients there also belong pregnant women and mothers after birth giving. It does not matter if they gave birth already a few years ago and their belly remain bigger, they have loosened pelvis base or diastasis. Our clients have one thing in common – they all want to do something for their health, beautiful body and psychic well-being. We are pleased to help them with all of that.